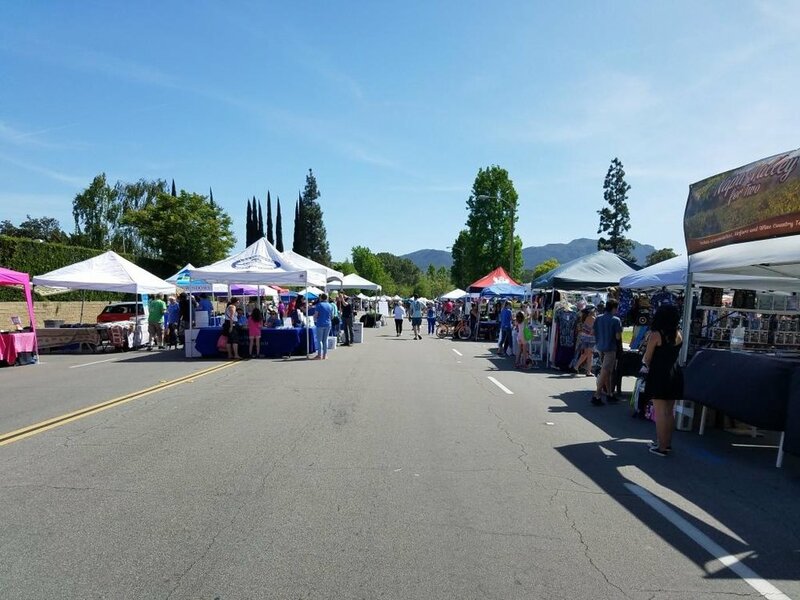 The Rotary Club of Westlake Village invites you to its annual Community Street Festival on Sunday, April 28, 2019 at 4600 Lakeview Canyon Road (between Agoura Road and Watergate Road) from 10 am to 4 pm. There will be musical entertainment, over 100 vendors, kids' activities, food trucks, classic car display, special pet zone, local breweries and more. Visit rotarywlv.org for more information. May 31: Jazz Night Featuring the Lindero Canyon Middle and Agoura High School Jazz Bands. Food available for purchase from Grilled Cheese Truck and Kona Ice. June 28: “Musical Theatre Classic Night" with 5-STAR THEATRICALS. Food available for purchase from Farm and Flame and Kona Ice. Come enjoy Broadway favorites and sing a long! August 9: A "Dutch Newman and the Musical Melodians" 1920's, 30's, and 40's tunes. Food will be available for purchase from Cousin's Maine Lobster and Mister Softee. Come take a spin on the dance floor and feel free to dress up in timeless attire. July 27: Outdoor screening of "Moana” with activities before the movie including Captain Carl's Mobile Tidepool (Activities begin at 6 p.m. film begins approximately at 8). Food available for purchase from Grilled Cheese Truck, Mister Softee and California Kettle Corn. August 24: "Colour My World" Tribute to "Chicago"
A limited number of chairs and tables are available on a first-come, first-seated basis at all TGIF Civic Center events. Food is available for sale from local restaurant vendors each week. Concerts start at 7pm. More information and updates at www.wlv.org. 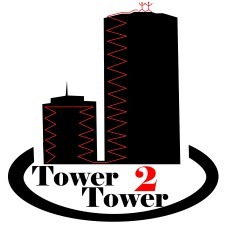 The Tower 2 Tower Stair Climb Hosted By Oxnard Fire Explorer Post 9244 is planned for Saturday, June 1, 2019 at Topa Financial Plaza Towers, 300 East Esplanade Drive, Oxnard. Check in starts at 9 am. Start by running up then back down the stairs in the 14-story City National Bank tower. Head out and cross the parking lot through a series of obstacles (obstacles are optional). This course will lead you to the larger Morgan Stanley tower. Enter the north stairs then race up 22 flights. Water will be available every seven floors and on the rooftop. Exit to the roof, cross the finish line, then take a moment to enjoy the spectacular view and to revel in your run. 50 floors, 1,089 stairs, 500 feet! Post race, join your family and friends at Public Safety Day. Demos will be ongoing from Fire and Police Departments, K9s and other public safety teams from the county. Enjoy music and food with the entire family. Food trucks on hand until 3pm. Return to the mystical times when the pirates roamed the seas during Ventura Harbor Pirates Days 2019 on Sunday, June 1st. This signature Ventura Harbor Village event celebrates a decade long festival with professional pirate live-action shows, pirate themed activities, treasure hunts, pirate costume contests, pirate vendors, and much more. Festival goers of all ages come in Piratey period costume and wenchy dress. Pirate marketplace open at 11am and live entertainment from 1pm-4pm. Action takes place on the lawn and various courtyard areas. This Memorial Day weekend, May 25-26, 2019 is the 42nd Annual “Art in the Park” at Libbey Park in central Ojai. The open-air juried art show is presented by the Ojai Center for the Arts, the oldest nonprofit art center in California. Drawing over 80 artists from all over California, the Art Center accepts work in the following categories: oil, acrylic, pastel, watercolor, glass, wood, photography, sculpture, ceramics, fine jewelry, and mixed media. Cash prizes are awarded, but the weekend offers something more. Plan ahead and don’t let this Memorial Day find you still looking for something to do. Instead, take part in an Ojai tradition under the canopy of Libbey Park’s century-old oak trees. Enjoy the beautiful casual surroundings and mingle with artists and patrons throughout the weekend. Show hours are 10am to 5pm. For further information, call (805) 646-0117 or visit www.ojaiartcenter.org/art-in-the-park.html . 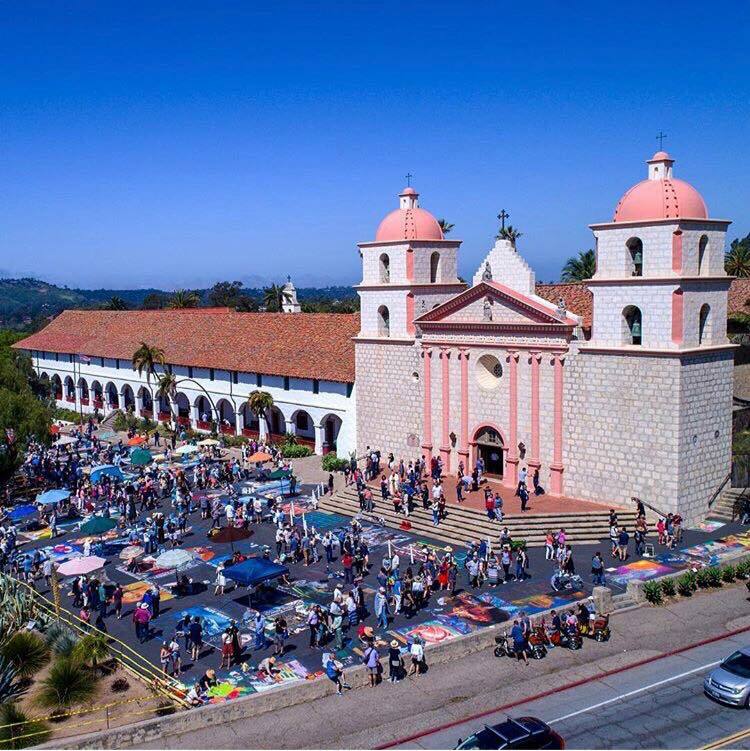 Madonnari, or street painters, transform the Santa Barbara Mission plaza using pastels on pavement to create 150 vibrant and colorful, large scale images. The I Madonnari Italian Street Painting Festival on May 25-27, 2019 benefits the Children's Creative Project, a nonprofit arts education program of the Santa Barbara County Education Office. The Project serves 50,000 children in more than 100 schools with visual and performing arts workshops and performances throughout Santa Barbara and San Luis Obispo counties. Festival hours are 10-6 daily. Admission is free. More information at www.imadonnarifestival.com. The Knights of Columbus Council 5803 32nd Annual Chili Cook-Off & Car Show takes place on Sunday, June 9, 2019 from 10AM to 5PM on the St Rose of Lima church grounds at 1305 Royal Ave, Simi Valley. Sample chili, explore cars and enjoy the day with family and friends! Live bands and entertainment, large kids area, chili tasting galore, cars on display and vendors galore.. Some of California's finest arts & crafts vendors will be on hand for you to take home something unique and special from the day. There will be ample quantities of chili, hot dogs, hamburgers, polish sausage, cotton candy, soft ice cream, beer and soda. Overflow parking is across the street at Royal High School. The car show will feature 16 categories for Classic, Custom, Street Rods, Muscle, Sport, Trucks and Special Interest vehicles. Trophies and prizes will be awarded to all category winners, including Best of Show. Admission is $6.00 for adults (seniors $5) and $3.00 for children (6-12). Active military free with ID. Chili tickets are 50 cents each. Overflow parking is across the street at Royal High School.